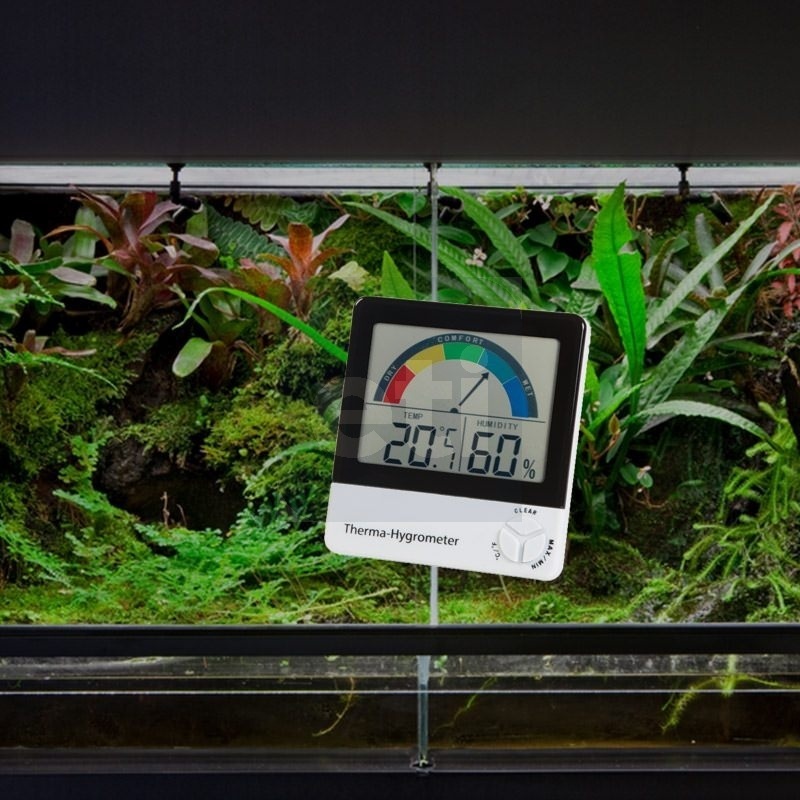 The 810-130 healthy living Therma-Hygrometer simultaneously displays both humidity and temperature in addition to indicating and recording the maximum and minimum readings. It features an analogue arrow indicator and a colour-coded bar to display humidity comfort levels e.g. dry, comfort and wet, making it very easy to read. The instrument measures both humidity and temperature over the range of 0 to 50 °C and 10 to 99 %rh utilising the internal sensors. The therma-hygrometer is ideal for monitoring both temperature and humidity in rooms, offices, factories and similar to ensure optimum working conditions are maintained. The unit is housed in an ABS case, measuring 20 x 100 x 110 mm, that incorporates a useful foldaway stand and a keyhole slot for hanging on a wall.